To transfer your contacts from an old iPhone to a new iPhone simply sign in to your iCloud, Gmail, Yahoo!, or Exchange account on the new iPhone. 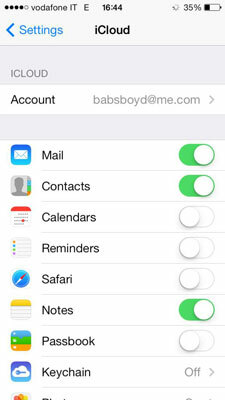 Your new iPhone accesses anything you already have saved to any of those accounts automatically. Essentially, iCloud stores your data, such as contacts, calendar information, your iTunes media library, photos, and documents on a remote server — called a cloud — that pushes data updates to your iPhone and any other computers or devices with iOS 5 or later you have associated with your iCloud account. If your screen doesn’t look like this, you first need to set up an iCloud account. Any changes you make in Contacts on your iPhone or on other devices associated with iCloud, such as your computer, iPad, or iPod touch, are automatically pushed to all devices. You will never have conflicting information again!